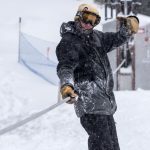 Eythan Frost amidst an unexpected snowstorm at Mission Ridge. Photo: Ben Shanks Kindlon. 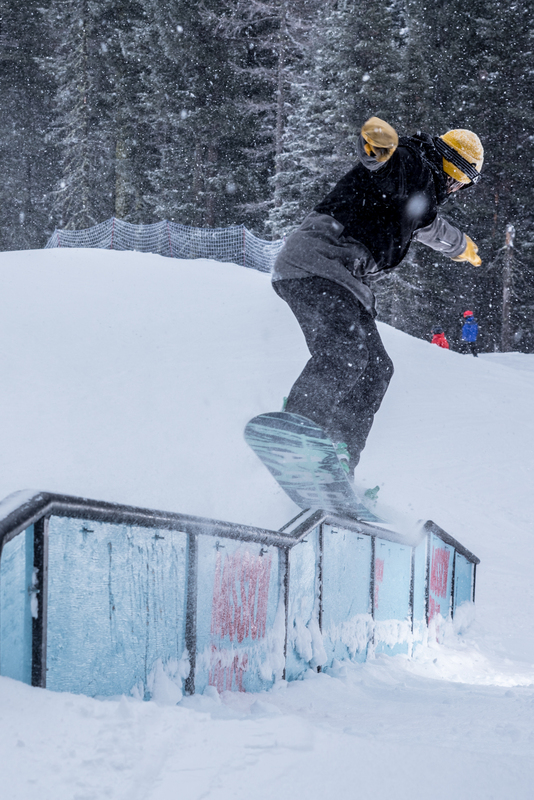 Robbie Hutton, goin’ up at the Lib Tech 100 Laps terrain park at Mission Ridge. Photo: Ben Shanks Kindlon. 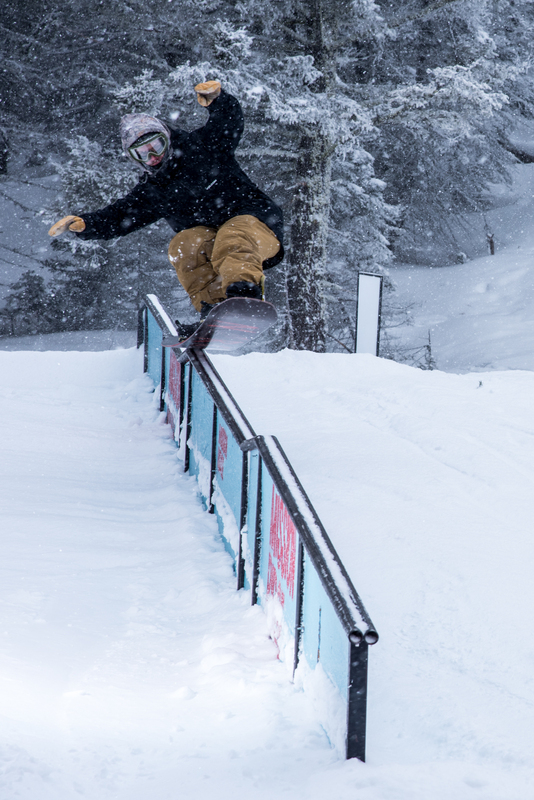 Robbie Hutton, bluntslide 270. Photo: Ben Shanks Kindlon. 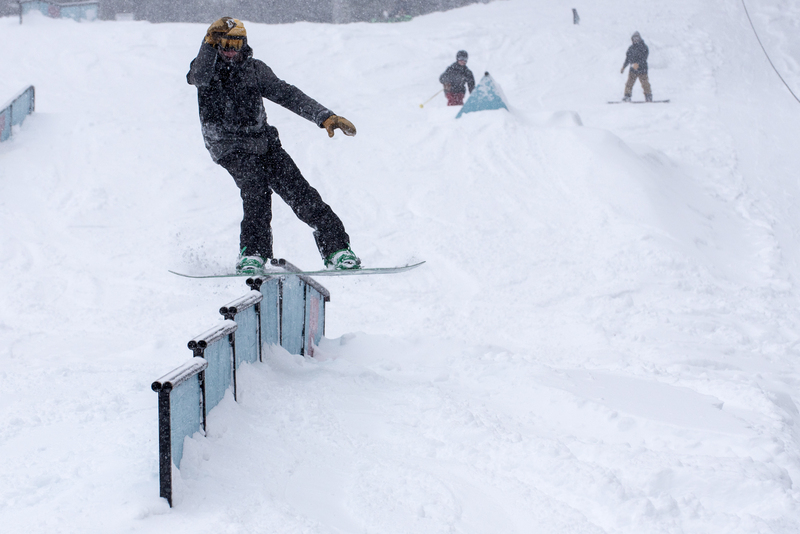 Kimo Cole is in his 40s and still hits every rail in the park. Enough said. Photo: Ben Shanks Kindlon. Eythan Frost samples a bit of fresh snow just outside the park. Photo: Ben Shanks Kindlon. Ben Shanks Kindlon, lipslide. Photo: Eythan Frost. 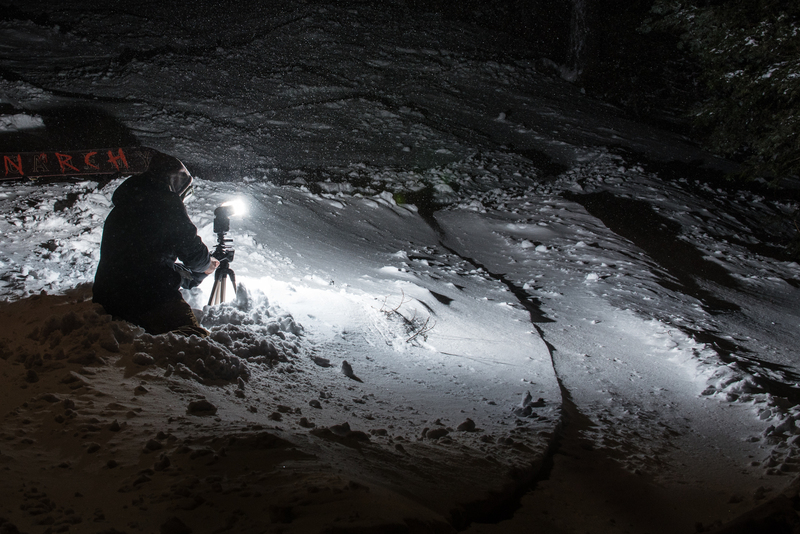 Eythan Frost fuddling with the flash during our nighttime powder shoot. Photo: Ben Shanks Kindlon. 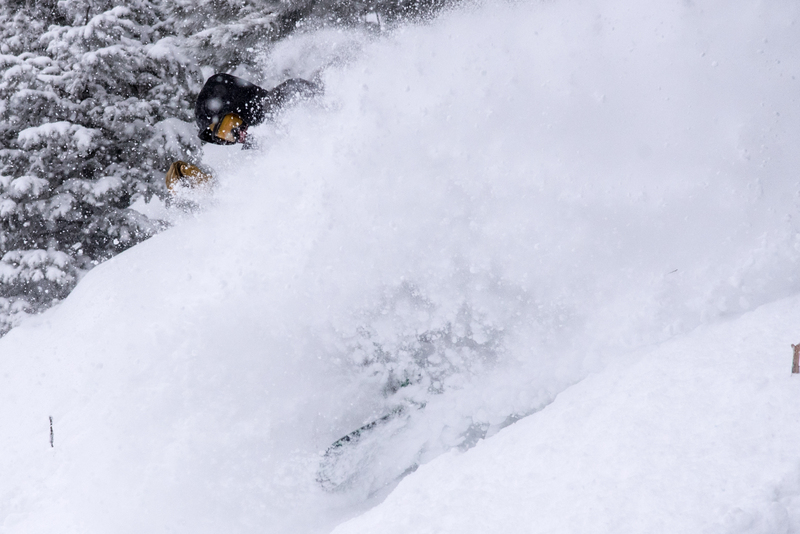 Robbie Hutton opts for no goggles, even when it makes very little sense to do so. Photo: Ben Shanks Kindlon. 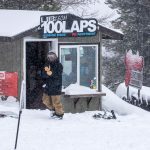 We set off from Bellingham, WA under blue skies and the three of us—snowboarders Robbie Hutton, Eythan Frost, and myself—take the area’s unexpected sunshine as a sign of good things to come. Soon into our drive south down I-5 the weather returns to its usual February drizzle, and as we shift our compass east through the Cascade Mountains pass of U.S. Route 2 snow begins to fall, heavily. 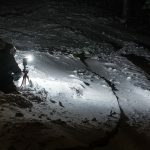 The pattering precipitation varies with each change in elevation, from snow to sleet and back to rain, and then to sun again by the time we reach our destination of Wenatchee, WA. These changes outside our windows feel awfully drastic, especially considering the drive only takes around four hours. Washington’s weather is weird in that way; it’ll throw a bit of everything at you with less than a moment’s notice. 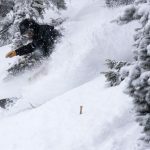 Mission Ridge Ski & Board Resort, located just 30 minutes outside of downtown Wenatchee, is emblematic of its home state in that sense; it’ll throw a bit of everything at you with less than a moment’s notice. 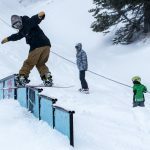 Upon our arrival in Wenatchee we head first to the Rails & Ales rail jam, and then to sleep early in preparation of a day of riding hard-packed park at the resort. But Mother Nature apparently has different plans for us. 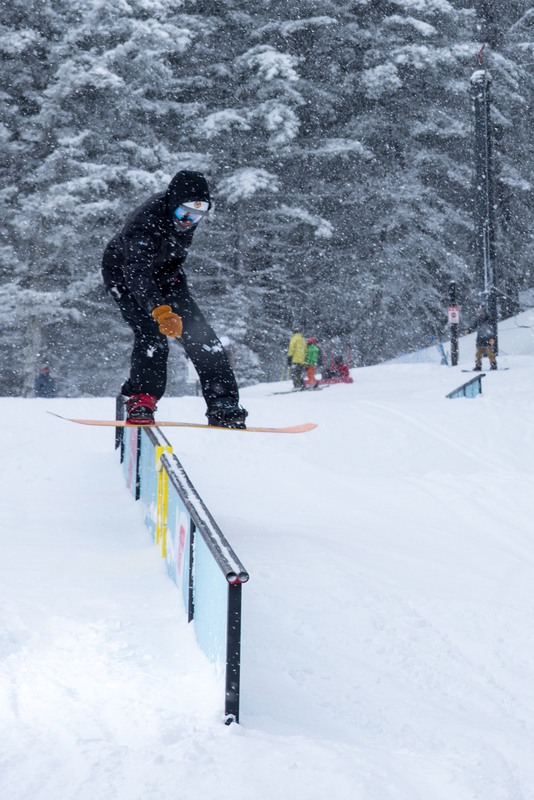 We awake to a few inches of fresh in town with talk of more falling up high, and reports confirm it’ll continue through the weekend. 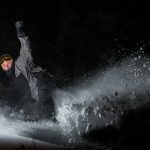 Although sliding metal is still very much on the mind, powder slashes also seem near on the horizon–an embarrassment of riches. ABOVE Robbie Hutton exiting the whiteroom. Photo: Ben Shanks Kindlon. 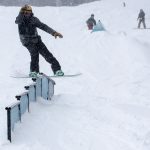 We head up to the mountain and straight for the Lib Tech 100 Laps Terrain Park, a two-acre plot dominated by rails, barrels and boxes. It’s serviced by a rope-tow which allows the park to truly live up to its name. 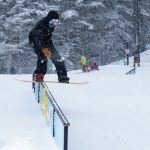 Although there isn’t much in the way of lofty jumps, the rope-tow park alone helps Mission Ridge lay claim to one of the best jib scenes in Washington. Today there’s upwards up 25 features and to our delight only the in-runs have been groomed, meaning the landings are still soft, powdery and playful. Besides for just a few others, we’ve got the place to ourselves. 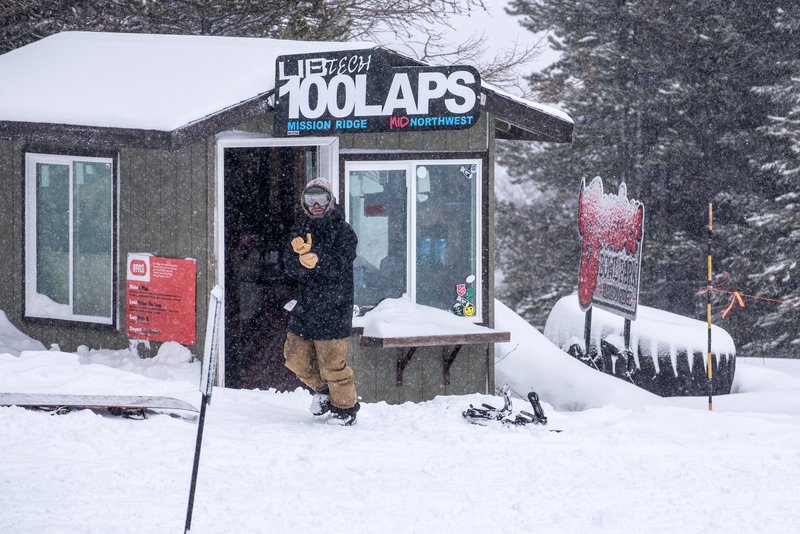 Each of us tallies up dozens of laps without ever having to unstrap from our boards. ABOVE Robbie Hutton presses nose, while Eythan Frost opts for tail. Photo: Ben Shanks Kindlon. As the sun sets the rope-tow stops spinning, we take off from the park to explore more of Mission Ridge. 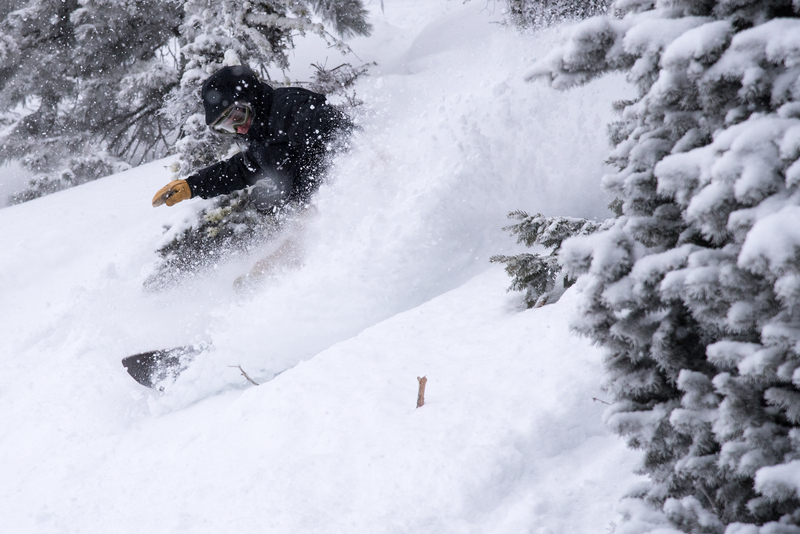 The cold, ceaseless storm has allowed pockets of deep, dry snow to amass around the mountain throughout the day. They’re primed and ready for us to pick out under the shining white lights that illuminate Mission’s trails during night-riding hours. Scathing winds nibble their way through my face mask and my mittens have managed to freeze semi-solid, but the cold does little to deter our crew from finishing one run and promptly starting the next. 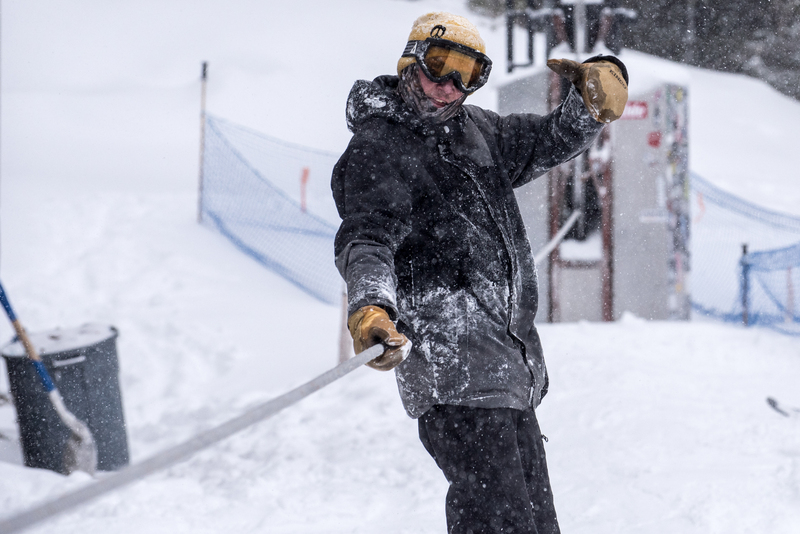 Chilly chairlift rides be damned; the conditions are just too good to give up. But following several more runs, we finally decide it’s time to pack up and point it towards town. We’ve already got everything we could’ve hoped for today, and then some. Besides, we’ve got to come back to do it all over again tomorrow. Who knows what the weather will throw at us then? 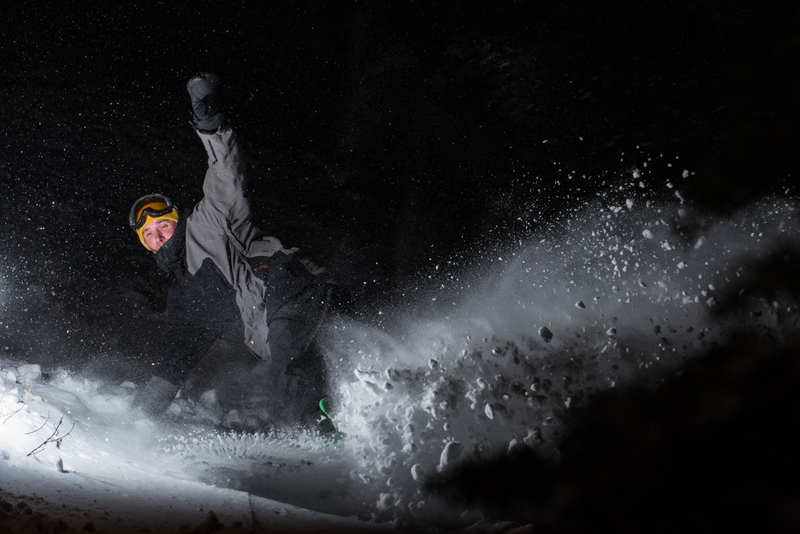 ABOVE Eythan Frost with a flashy slash to close things out for the night. That turn was filled in by the following morning. 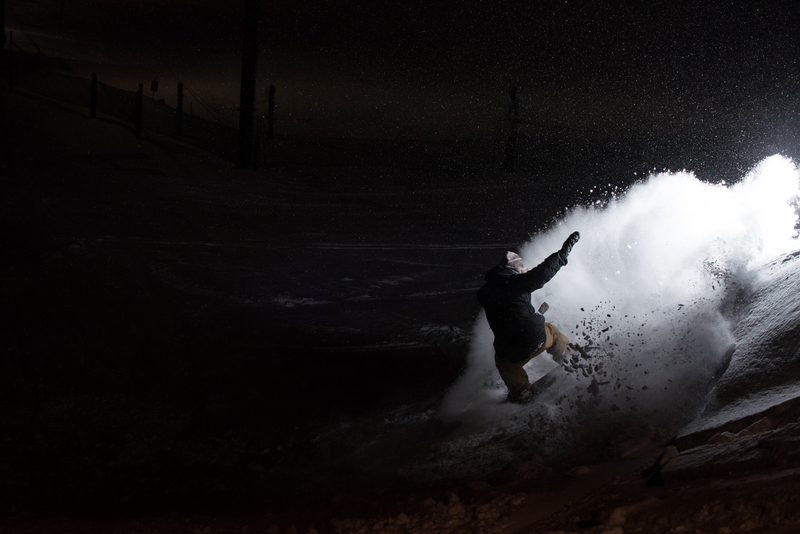 Photo: Ben Shanks Kindlon. 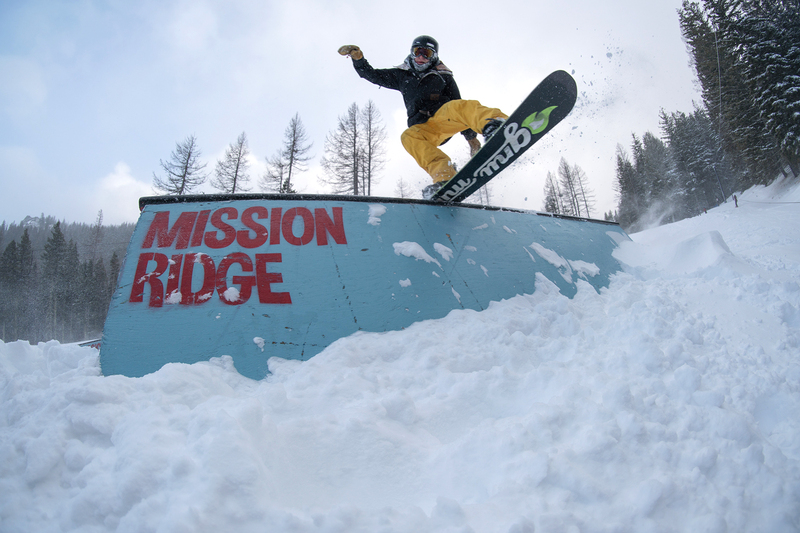 Thanks to Tony Hickok and the rest an the Mission Ridge crew for having us at the resort. Shoutouts also to the Springhill Suites by Marriott Wenatchee and McGlinn’s Public House for the fresh sheets and tasty eats, respectively. 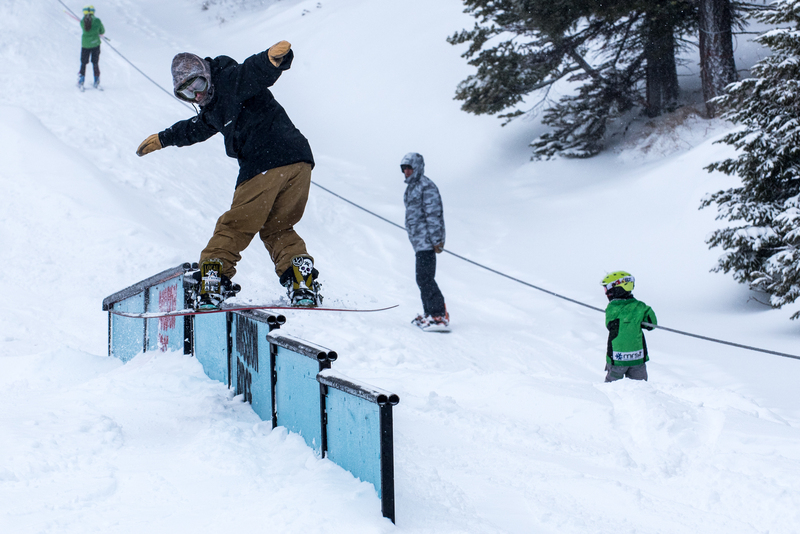 We’re already scheming up a trip for more Mission Ridge rail riding come springtime.